This is a miniature urn and is intended to hold only a small portion of cremains. Its maximum volume is 2 cubic inches. 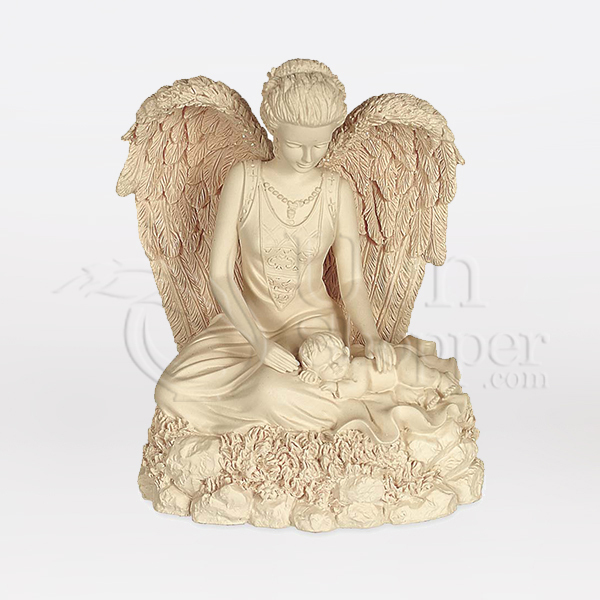 The Angel and Child cast resin token cremation urn is made from high quality cold cast polystone. The urn cavity is accessible from the bottom of the piece and is sealed by a removable plate.